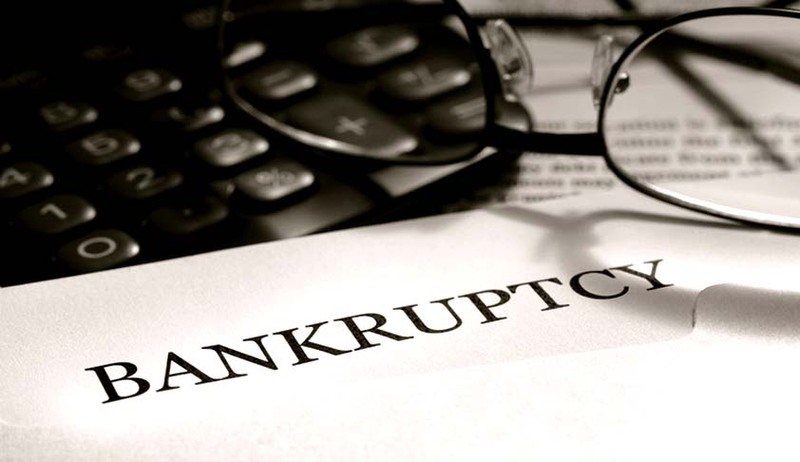 India is on the cusp of a major shift in its recovery, insolvency, and bankruptcy jurisprudence post introduction of Insolvency and Bankruptcy Code 2016 (hereafter, the “Code”). Several well established concepts are being challenged and at the same time, new concepts are being evolved. For instance, it is a well-known principle of law that every dispute should be contested within the limitation period prescribed under the Limitation Act 1963. However, in Neelkanth Township and Construction Pvt. Limited v. Urban Infrastructure Trustees Limited the Hon’ble National Company Law Appellate Tribunal (hereafter, the “NCLAT”) upheld that the Limitation Act 1963 is not applicable to the Code. While there are several such instances like the one mentioned above, the applicability of other laws and legal concepts to the insolvency proceedings is a very delicate subject which has been mentioned in the “Legislative Guide on Insolvency Law of the United Nations Commission on International Trade Law” (hereafter, the, “Legislative Guide on Insolvency Law”). The Legislative Guide on Insolvency Law which has been referred by the Hon’ble Supreme Court in Mobilox Innovations Private Limited v. Kirusa Software Private Limited states that “As far as possible, an insolvency law should clearly indicate all provisions of other laws that may affect the conduct of the insolvency proceedings (e.g. labor law; commercial and contract law; tax law; laws affecting foreign exchange, netting and set-off and debt for equity swaps; and even family and matrimonial law)”. The Code in sections 243 to 255 has elaborately captured the changes brought in the provisions of various laws by the Code, however, whether the provisions of the Code sufficiently covers all other laws is a question which is yet to be answered affirmatively. In this background and in light of the judgment passed by the Hon’ble Allahabad High Court in Sanjeev Shriya v. State Bank of India & others, the author has endeavored to discuss the crucial issues pertaining to guarantees under the Code. While the Code is very clear on the aspects related with the guarantees, however, in the personal opinion of the author there is a considerable confusion in the financial sector regarding various issues surrounding guarantees. Probably, the Insolvency and Bankruptcy Board of India (hereafter, “IBBI”) may look at the aspects of the Code dealing with guarantees and bring more clarity in the manner it has brought by amending section 2 of the Code by way of Insolvency and Bankruptcy Code (Amendment) Ordinance 2017. Before proceeding with the scenario of guarantees under the Code, it is imperative to state the established concept pertaining to a guarantor and a principal debtor. As per section 128 of the Indian Contract Act 1872, the liability of guarantor and the principal debtor is co-extensive unless if there is a contract to contrary. In a way, the creditor is not obligated to exhaust its remedies towards the principal debtor before approaching the guarantor unless there is a contract to the contrary. While there are several judgments pronounced on this issue, the Hon’ble Supreme Court in Industrial Investment Bank v. Bishwanath Jhunjhuwala has summarized the legal position and quoted, “The legal position as crystallized by a series of cases of this Court is clear that the liability of the guarantor and principle debtors are co-extensive and not in the alternative.” (Emphasis supplied). Hence, at this stage, there is no need to further elaborate the concept of co-extensive liability of guarantor and principal debtor. From a bare reading of various provisions of the Code read with Indian Contract Act 1872, it can be easily concluded that the Code in its original form does not prevent simultaneous proceedings against both principal debtor and guarantor. The argument that the guarantor cannot be treated differently from the principal debtor for the purposes of the Code has gained momentum primarily after the decision of Hon’ble Allahabad High Court in Sanjeev Shriya v. State Bank of India & others (hereafter, “Sanjeev Shriya”). In Sanjeev Shriya, the Hon’ble Allahabad High Court observed that, wherein a corporate debtor is undergoing corporate insolvency resolution process (hereafter, the “CIRP”) under the Code, parallel proceedings against the personal guarantors of such corporate debtor should not be initiated since the liability of the corporate debtor shall only be crystallized once the NCLT approves the resolution plan under section 31 of the Code or passes an order of liquidation of the corporate debtor under section 33 of the Code. The Hon’ble High Court at para 29 of the Sanjeev Shriya judgment mentions, “………. The argument advanced by Shri Navin Sinah is also fortified on the ground that once the liability is still in a fluid situation and the same has not been crystallized, then in such situation, two parallel/split proceedings in a different jurisdiction should be avoided, if possible. In the aforementioned circumstances, the objection so raised by learned counsel for the respondent bank regarding alternative remedy cannot sustain and is rejected.” Primarily, in this case, the Hon’ble Court was dealing with the issue under section 14 of the Code, however, the observation that a creditor can initiate action against the guarantor only after crystallization of debt of the principal debtor needs serious deliberation. Similarly, in Axis Bank Limited v. Edu Smart Services Limited (hereafter, “ESSL”), the question before the Hon’ble NCLT, Delhi was whether the invocation of corporate guarantee against the corporate debtor (also the guarantor in this case) during the moratorium period under section 14 of the Code amounts to enforcement of security interest of the corporate debtor? In this case, both the principal debtor and the guarantor were undergoing the CIRP under the Code and Axis Bank Limited, being a financial creditor of both the principal debtor and the guarantor, filed its claim with the resolution professional appointed under the Code for the principal debtor as well as the guarantor. However, the claim of Axis Bank was rejected by the resolution professional of the guarantor on the ground that the corporate guarantee was invoked by Axis Bank Limited during the moratorium under section 14 of the Code. The Hon’ble NCLT agreed with the decision of the resolution professional and upheld that the invocation of corporate guarantee during the moratorium period was bad in law. The Hon’ble NCLT also made an interesting observation at para 21 of the order and mentioned, “In equity also, the applicant-Axis Bank Ltd. would not suffer any prejudice as it has already claimed the amount of debt in CIRP of the principal borrower-Educomp Solutions Ltd. in a separate proceeding initiated by admission of C.P. No. (IB)-101(PB)/2017” (Emphasis supplied). At this stage, it is essential to quote the judgement passed by the Hon’ble Bombay High Court in Lacchman Joharimal v. Bapu Khandu and Tukaram Khandoji, whereby the Hon’ble Court held that “the very object of the guarantee is defeated if the creditor is asked to postpone his remedies against the surety. In the present case, the creditor is a banking company. A guarantee is a collateral security usually taken by a banker. The security will become useless if his rights against the surety can be so easily cut down.” (Emphasis supplied). Needless to say, in both Sanjeev Shriya and ESSL, the Hon’ble High Court and the Hon’ble NCLT respectively asked the creditors to postpone their remedies against the guarantor although on different grounds. From a plain reading of the aforesaid two judgments, one can conclude that these two judgments deviated from the well-crystalized concept of co-extensive liability of the guarantor and the principal debtor. Additionally, in the humble opinion of the author, in ESSL, the NCLT should not have gone into the discussion regarding the timing of invocation of the guarantee for primarily two reasons. First, it is not mandatory for a creditor to first make demand and then initiate any action against a guarantor. In Chitty on Contracts, it has been observed as, “Conditions precedent to liability of surety- Prima facie the surety may be proceeded against without demand against him, and without proceeding against him” Secondly, the definition of claim in the Code states, “Claim means- (a) a right to a payment, whether or not such right is reduced to judgment, fixed, disputed, undisputed, legal, equitable, secured or unsecured; (b)……”. From the aforesaid, it is clear that under a guarantee, the creditor has a right to payment and the said right cannot be taken away simply because the creditor failed to demand from the guarantor before imposition of the moratorium. It is pertinent to mention here that the existence of default is a pre-requisite condition for initiating the CIRP under the Code, however, the existence of default is not a pre-requisite condition for filing a claim with the resolution professional under the Code. Before we go into the pros and cons of initiating CIRP against both the guarantor and the principal debtor for the same debt, it is imperative to discuss the order passed by the Hon’ble NCLT, Ahmedabad in IDBI Bank Ltd. v. BCC Estate Pvt. Ltd. (hereafter, “BCC Estate”). The brief facts of this case are that IDBI Bank, being the financial creditor, initiated insolvency proceedings against one Asian Natural Resources Limited (hereafter, “ANRL”) for failing to pay the debt owed to IDBI. Subsequently, IDBI Bank also initiated insolvency proceedings against BCC Estate Pvt. Ltd. (hereafter, “BEPL”), which stood as a guarantor to ANRL. The said application filed against BEPL was opposed by BEPL on many grounds including that ANRL, being the principal borrower, was undergoing CIRP and hence, initiation of CIRP against BEPL was not maintainable. The Hon’ble NCLT, Ahmedabad out rightly rejected the objections raised by BEPL and observed, “Respondent is a corporate body. Respondent stood as a Corporate Guarantor to the Principal Borrower, Asian Natural Resources Limited. In such a case on the ground that Corporate Insolvency Resolution Process already commenced against the Principal Borrower, the Guarantor cannot avoid Corporate Insolvency Resolution Process when it failed to repay the amount borrowed by the Principal Borrower. The Guarantee Agreement executed by the Respondent Company is a continuing guarantee and an Irrevocable Guarantee.” In the humble opinion of the author, the stand taken by the Hon’ble NCLT in BCC Estate is the correct position of law. Interestingly, in Srei Infrastructure (P) Ltd. v. Assam Company India Ltd. (hereafter, “Assam Company”) the facts of the matter were exactly opposite to the facts in Sanjeev Shriya. In this case, Srei Infrastructure (“Srei”), being the financial creditor, initiated the CIRP under section 7 of the Code against Assam Company Ltd., which stood as a guarantor to Gujrat Hydrocarbons & Power SEZ Limited (being the principal borrower). Since the principal borrower failed to pay its debts, Srei initiated recovery proceedings under section 19 of Recovery of Debts Due to banks and Financial Institutions Act 1993 (hereafter, the “DRT Act”) against the principal borrower i.e. Gujrat Hydrocarbons & Power SEZ Limited. While the said proceeding was pending before the Debt Recovery Tribunal, Kolkata, Srei initiated the CIRP against Assam Company Limited, being the guarantor of the principal borrower. The said application filed by Srei against Assam Company Limited was admitted by the Hon’ble NCLT. Here, it may be argued that since the proceedings against the principal borrower were still pending before DRT, Kolkata the liability of the principal borrower was still in a fluid situation and hence, in light of the Sanjeev Shriya judgment, the CIRP against the guarantor should not have been admitted by the Hon’ble NCLT, Kolkata. It is imperative to note here that in this case, the Hon’ble NCLT did not go into the discussion of liability of the principal borrower and the guarantor. It is a well-established principle now that the insolvency process under the Code is not a suit for recovery. The entire scheme of the Code has been summarized by the Hon’ble Supreme Court in Innoventive Industries Ltd. v. ICICI Bank Ltd. The Hon’ble Court at para 33 of this case observed that, “The scheme of the Code, therefore, is to make an attempt, by divesting the erstwhile management of its powers and vesting it in a professional agency, to continue the business of the corporate body as a going concern until a resolution plan is drawn up, in which event the management is handed over under the plan so that the corporate body is able to pay back its debts and get back on its feet. All this is to be done within a period of 6 months with a maximum extension of another 90 days or else the chopper comes down and the liquidation process begins.” Thus, it is crystal clear that the Code is different from the recovery laws and hence, guarantees should also be treated in the manner as provided in the Code. The Insolvency and Bankruptcy Code (Amendment) Ordinance, 2017 (hereafter, the “Ordinance”) brought a significant amendment in section 2 (“Application”) of the Code. By the said Ordinance, a new clause “2(e) personal guarantors to corporate debtors” has been inserted in section 2 of the Code. The amendment clarifies that the provisions of the Code shall apply to the personal guarantors to corporate debtors. In the opinion of the author, the amendment brought by the Ordinance aimed at addressing the concern following the Sanjeev Shriya judgment discussed above. Further, section 60(1) of the Code states the “the Adjudicating Authority, in relation to insolvency resolution and liquidation for corporate persons including corporate debtors and personal guarantors thereof shall be the National Company Law Tribunal having territorial jurisdiction over the place where the registered office of the corporate person is located”. (Emphasis supplied). Section 60(2) of the Code further clarifies the position and states, “Without prejudice to sub-section (1) and notwithstanding anything to the contrary contained in this Code, where a corporate insolvency resolution process or liquidation proceeding of a corporate debtor is pending before a National Company Law Tribunal, an application relating to the insolvency resolution or bankruptcy of a personal guarantor of such corporate debtor shall be filed before such National Company Law Tribunal” (Emphasis supplied). In light of the amendment brought by the Ordinance and section 60 of the Code, the legal position seems to be very clear that parallel proceedings against guarantors to corporate debtors may be initiated under the Code. A bare reading of section 60(2) of the Code clearly establishes that this section shall be applicable when the CIRP or liquidation proceeding of a corporate debtor is pending before an NCLT. Since, as per Part III of the Code, the adjudicating authority for insolvency resolution and bankruptcy for individuals is Debt Recovery Tribunal established under RDDBFI Act the legislature in its wisdom thought it proper to have all proceedings related to a corporate debtor including any proceeding against guarantors of such corporate debtor before NCLT. Section 22 of Sick Industrial Companies (Special Provisions) Act 1985 (hereafter, “SICA”) provides rich guidance for understanding the proceedings against guarantor and principal borrower. Section 22 (“Suspension of legal proceedings, contracts, etc.”) of SICA states, “Where in respect of an industrial company, an inquiry under section 16 is pending or any scheme referred to under section 17 is under preparation or consideration or a sanctioned scheme is under implementation or whether an appeal under section 25 relating to an industrial company is pending, then, notwithstanding anything contained in the Companies Act, 1956 (1 of 1956), or any other law or the memorandum and articles of association of the industrial company or any other instrument having effect under the said Act or other law, no proceedings for the winding up of the industrial company or for execution, distress or the like against any of the properties of the industrial company or for the appointment of a receiver in respect thereof and no suit for the recovery of money or for the enforcement of any security against the industrial company or of any guarantee in respect of any loans or advances granted to the industrial company shall lie or be proceeded with further, except with the consent of the Board or as the case may be, the Appellate Authority”. The phrase “and no suit for the recovery of money or for the enforcement of any security against the industrial company or of any guarantee in respect of any loans or advances granted to the industrial company shall lie or be proceeded with further, except with the consent of the Board or as the case may be, the Appellate Authority” was inserted in 1994. Pursuant to the said amendment of SICA, the major question which arose was if the principal borrower is declared as a sick industrial company whether proceedings against guarantors of such industrial company can continue or be initiated? In this regard, the Hon’ble Supreme Court in Kailash Nath Agarwal & Ors. V. Pradeshiya Industrial & Investment Corporation of UP Ltd. & Anr.observed that, “The object for enacting SICA and for introducing the 1994 Amendment was to facilitate the rehabilitation or the winding up of sick industrial companies. It is not the stated object of the Act to protect any other person or body. If the creditor enforces the guarantee in respect of the loan granted to the industrial company, we do not see how the provisions of the Act would be rendered nugatory or in any way affected. All that could happen would be that the guarantor would step into the shoes of the creditor vis-à-vis the company to the extent of the liability met.” (Emphasis supplied). Under similar facts and substances and relying on the judgment passed in Kailash Nath Agarwal & Ors. as well as in KSL & Industries Ltd. v. Arihant Threads Ltd. & Ors., the Hon’ble Delhi Court in Om Prakash Parasrampuria & Ors. V. Union of India & Ors. observed that, “The two appellants are guarantors and notwithstanding the principal borrower company being a sick industrial company, the Debts Recovery Tribunal as also the Debts Recovery Appellate Tribunal have rightly opined that proceedings under Recovery of Debts due to Banks and Financial Institutions Act, 1993 can continue against the two”. It is the submission of this author that even under SICA the established legal principle of co-extensive liability of guarantor and principal borrower was not taken away by the legislature. The courts did not allow the restrictions imposed under section 22 of SICA to extend to guarantees primarily because any other interpretation would defeat the very object of guarantee. However, it may be argued that the structure of the Code is completely different from SICA. The Code provides for the resolution of a corporate debtor and the moratorium under section 14 of the Code has been provided with an aim to allow a cooling period till the time the resolution plan is approved or liquidation proceeding is initiated against the corporate debtor. Having said that, the basic tenet of the liability of the principal debtor and the guarantor should be preserved in the manner it was done under SICA. The Code is exhaustive and promotes simultaneous insolvency proceedings against principal debtors and guarantors. Section 14 of the Code should not be interpreted to include guarantees and/or assets of guarantors/third party security providers. The purpose of the Code can not be interpreted to protect any third person apart from the corporate debtor. The recent judgments by several NCLTs and the High Courts have created confusion in the financial sector regarding the working of guarantees under the Code and this may adversely affect the finance sector. IBBI should come up with clarifications in order to ensure that guarantees should not be rendered useless in scenario wherein the CIRP is initiated against the principal borrower.
. Company Appeal (AT) (Insolvency) No. 44 of 2017.
. The Hon’ble Apex Court shall be deciding the issue of applicability of Limitation Act, 1963 to the Code in the appeal preferred by B.K.Educational Services Pvt. Ltd. against the order dated November 7, 2017 passed by the Hon’ble NCLAT in “Parag Group & Associates v. B.K.Educational Services Pvt. Ltd”.
. Resolution No. 59/40 of the UN General Assembly passed on December 2, 2004.
. Civil Appeal No. 9405 of 2017.
. C. No. 30285 of 2017.
. This aspect has been dealt in detail in the latter half of the article. Further, the Insolvency and Bankruptcy Code (Amendment) Bill 2017 which seeks to amend Insolvency and Bankruptcy Code (Amendment) Ordinance 2017 has been paased by both the houses of the Parliament.
. (2009) 9 SCC 478.
. (1869) 6 Bom HCR 241.
. Chitty on Contracts, (24th edn., Sweet and Maxwell Ltd.) 1031.
. C.P. (I.B) No. 80/7/NCLT/AHM/2017.
. An appeal has been preferred against the order passed by the Hon’ble NCLT Ahmedabad and the same is oending before NCLAT at present.
. Diary No. 529 of 2017.
. Civil Appeal No. 8337-8338 of 2017.
. SICA has been repealed by way of Sick Industrial Companies (Special Provision) Repeal Act, 2003 (notified on November 25, 2016). Rishi Thakur is a banking and finance lawyer with 6 years experience.